What is fever in infants and children? A fever is a sign that your body is sick or has an infection. A fever helps kill infections, bacteria and viruses that are causing the fever. Your child has a fever if his or her body temperature his higher than normal. A normal temperature is 98.6°F when checking by mouth. Some doctors ask you to check your baby or young child’s temperature rectally (in their bottom). Normal for that method is 99.6°F. 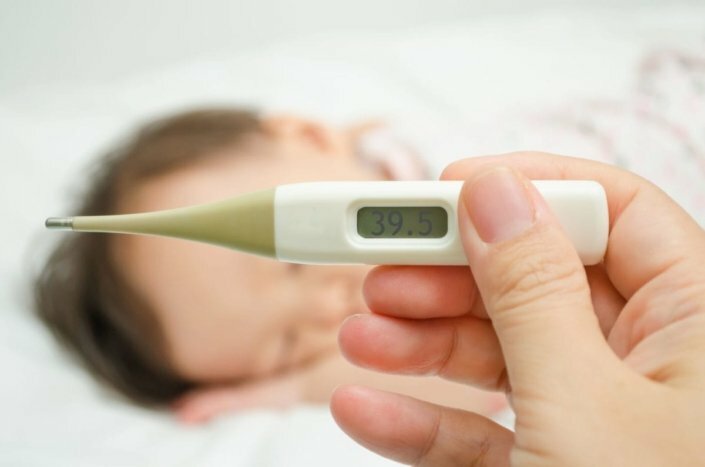 What causes fever in infants and children? Certain medicines. This would include antibiotics, anti-seizure and blood pressure medicines. Autoimmune disorders (when your body mistakenly attacks healthy tissue). How is fever in infants and children diagnosed? Many doctors diagnose a fever as an oral temperature above 99.5°F. They diagnose fever as a rectal temperature above 100.4°F. But fever standards also depend on age, so what may be a fever in one person may not rate as a fever in someone else. To take your child’s temperature rectally, use a digital thermometer. Place your child on his or her stomach across your lap. Apply petroleum jelly (brand name: Vaseline) to the tip of the thermometer. Insert it half an inch into your child’s bottom. Stop if you feel any resistance. Hold the thermometer still and do not let go. When the thermometer beeps, remove it and check the digital reading. Taking temperatures rectally is the preferred method for children. To take your child’s temperature orally, use a digital thermometer. Place the end of the thermometer under his or her tongue. Go towards the back of the mouth. Have your child close his or her lips around the thermometer. Tell your child not to bite down or talk. When the thermometer beeps, remove it and check the digital reading. Never use a mercury thermometer. Mercury is poison. Label your rectal thermometer so that it isn’t accidentally used in your child’s mouth. Start by cleaning the thermometer in warm, soapy water. Rinse well with cool water. For oral temperatures, wait 20 minutes after your child eats or drinks hot or cold foods and drinks before taking his or her temperature. Don’t bundle your baby or child up too tightly before taking his or her temperature. Don’t take your child’s temperature right after he or she has had a bath. Never leave your child alone when using a thermometer. When you are finished, clean the thermometer again with rubbing alcohol or with cool, soapy water. Can fever in infants and children be prevented or avoided? Fevers caused by illness or infection can be avoided by avoiding the things that cause illness and infection. Fevers caused by vaccinations can be avoided by giving your child acetaminophen. This is an over-the-counter medicine (brand name: Tylenol). This should be given just before or right after the vaccination. Acetaminophen can be given to reduce a fever. Ibuprofen (brand names Children’s Advil, Children’s Motrin) is another medicine that can be used to lower a fever in children older than 6 months of age. Ask your doctor for the correct dosage. This will vary by your child’s age and weight. Don’t give your child medicine if he or she is between 3 months and 3 years of age and has a temperature of 102°F or lower. If your child is achy and fussy, and his or her temperature is above 102°F (38.8°C), you may want to give him or her acetaminophen. Don’t give more than 5 doses in 1 day. Don’t give a baby younger than 2 months of age any medicine unless your doctor tells you to. For liquid medicines, use a special measuring device to get the right dose. You can get one at your drug store. An ordinary kitchen teaspoon may not hold the right amount of medicine. If your baby is younger than 3 months old and has a rectal temperature of 100.4°F or higher, call the doctor or go to the emergency room. A fever can be a sign of a serious infection in young babies. Never give your child aspirin for any reason. Aspirin can cause Reye’s syndrome. Reye’s syndrome is a serious childhood illness that can lead to death. Do not give aspirin to children younger than 18 years of age. Giving your child acetaminophen and a warm bath may lower his or her fever. Give the acetaminophen before the bath. A bath without medicine will cause your child to shiver. This will raise his or her body temperature. Never use rubbing alcohol or cold water for baths. Give your child fluids to prevent dehydration (not enough fluid in the body). It will help the body cool itself. Water, clear soups, popsicles and flavored gelatin are good choices. Don’t force your child to eat if he or she doesn’t feel like it. 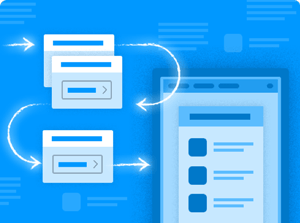 Keep the room temperature at about 70°F to 74°F. Dress your child in light cotton pajamas. Overdressing can trap body heat and cause your child’s temperature to rise. If your child has chills, give him or her an extra blanket. Remove it when the chills stop. Can I tell if my child has a fever by touching his forehead? How many days should a fever last before I should get concerned? Why does my child’s fever come and go? Can a high fever make my child confused?